Here is the best cutting board you'll likely find anywhere, and we've got it on sale for a few days only. 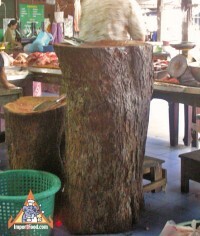 A solid block of end-grain exotic hardwood from a tamarind tree. 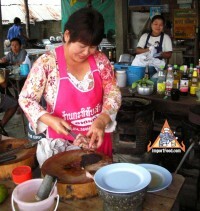 Tamarind wood is well-known in Thailand as the very best for cutting boards, used to make all Thai recipes. 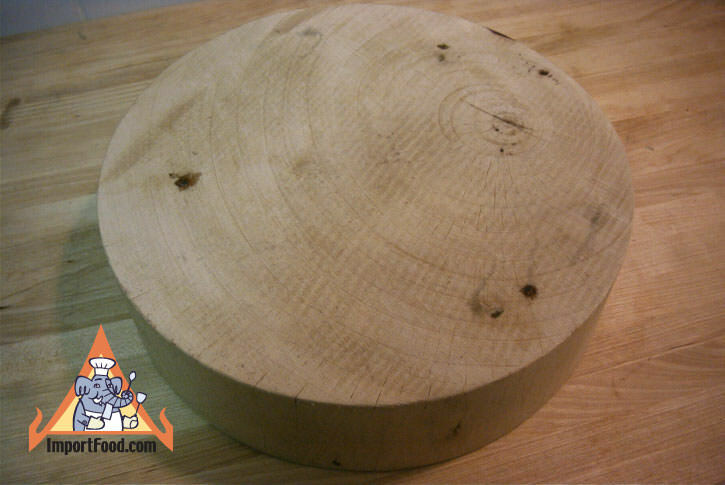 This round slice from the center of a tamarind tree is about 9.5" in diameter (not less than 9") and an impressive 2+" thick. 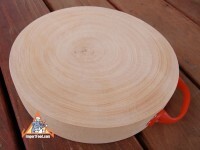 What makes this cutting board so special? 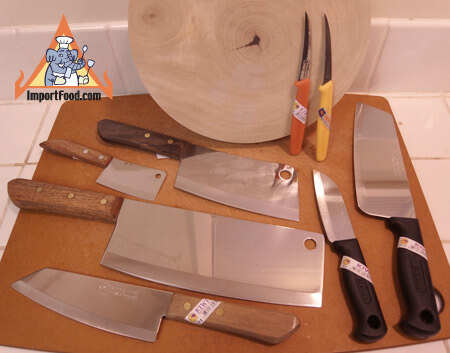 Typically, cutting boards use flat planks of cross-cut wood, which makes your knife blade go dull quickly. End-grain wood is superior, and end-grain butcher blocks sell for a high price but those are made of little blocks glued together. For generations in Thailand, cooks have always used the wood of solid tamarind tree because it's the perfect material. Indeed, customers have noted from our street vendor photo and our street vendor video series that all chefs are using the same style of cutting board. The board itself weighs about 8 pounds, a lot heavier than you'd think by looking at the piece of wood, but it's so dense that even 40 grit sandpaper on an industrial belt sander will hardly reduce it, yet gentle on your knife. 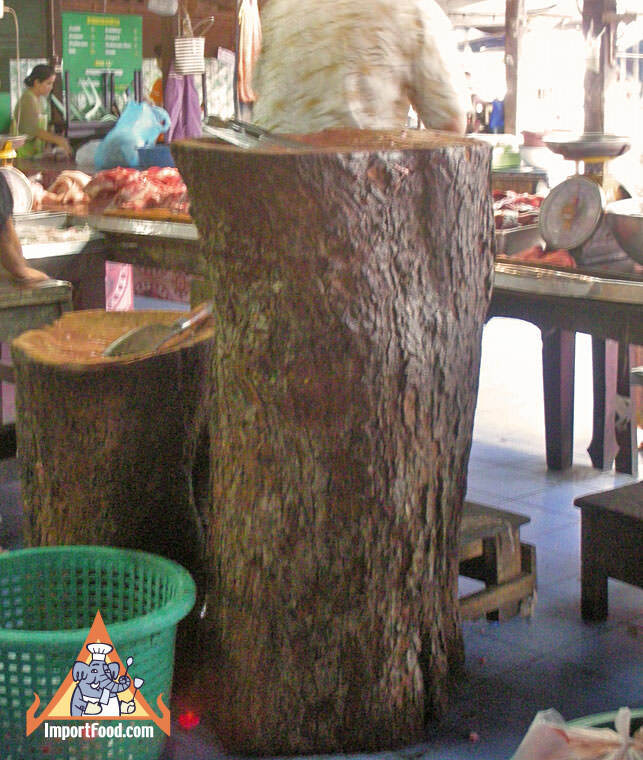 With end grain wood, especially from the tamarind tree, your knife will stay sharp a lot longer because as it hits the board the grains are straight (like a super-tight brush) rather than sideways. Some things about the cutting board are less than perfect. You might notice that the wood might have a few small natural marks on it. The wood also might have small surface cracks. Some have very little cracking, others have it on just one side. Based on our experimentation at home, the cracks respond well if you condition your cutting board immediately by rubbing it several times with mineral oil. This helps contract the wood back. The small cracks also fill in with beeswax, or parafin wax. 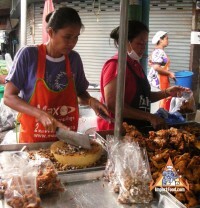 We notice that when street vendors are using tamarind cutting boards in Thailand, the odd small crack is fairly normal. With standard cleaning and use of vinegar & bleach on a regular basis (as with any cutting board) your cutting board will last forever. We've tried to show in pictures above what you can expect. Important: How to Care For Your Tamarind Cutting Board. 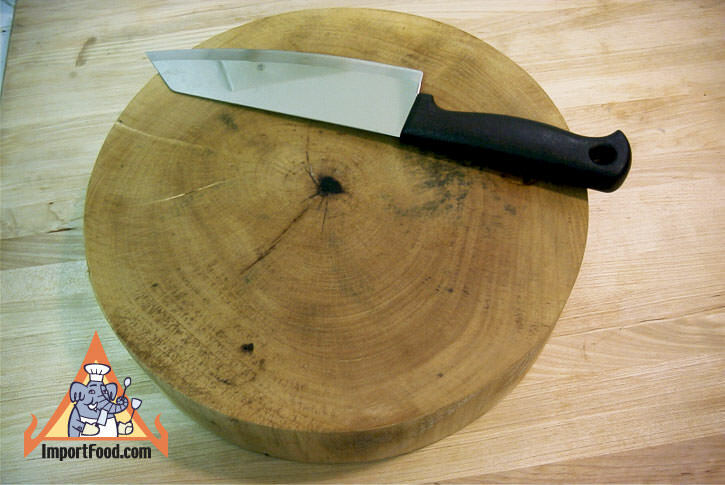 When you get this cutting board, promptly season it by applying a generous amount of mineral oil to it. Wipe thoroughly and let it soak in. Repeat several times over the course of the first week you own it, then apply once per month. Available at any drug store (laxative section) mineral oil is inexpensive and works wonders. 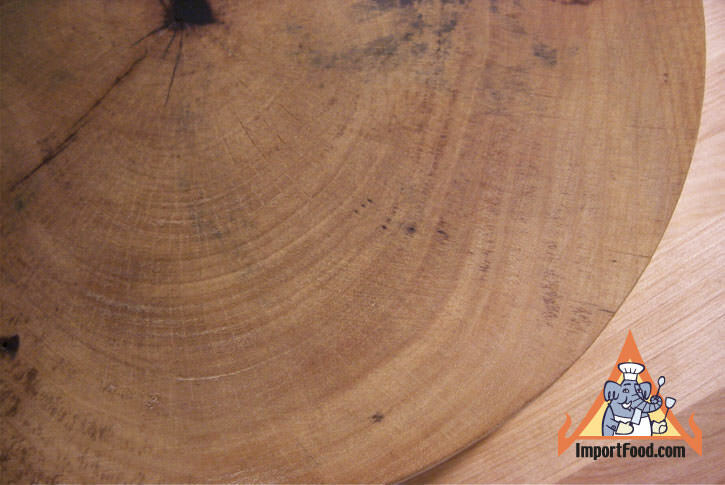 It seals the grain from bacteria, prevents absporption, and keeps the wood moisturized to prevent splitting. 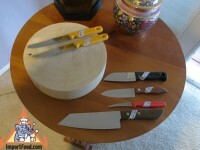 Beeswax is an all natural anti-bacteria that seals your cutting board also. You can buy pure beeswax online but also in some stores. Pure beeswax is made into candles that you can use as well. 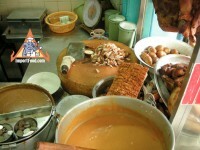 At ImportFood.com we love beeswax with a passion, and raise bees as a hobby. Tamarind, cutting boards, and beeswax are a nice combination of things we love the most. A home recipe for a good cutting board preservative: Mix 10 parts mineral oil to 1 part paraffin or bees wax. Carefully warm the mixture in a microwave just until the wax melts. Apply to your cutting board warm.